then turned into freezing rain. In no time, we were covered in a blanket of ice. 'cause the little fellows seemed to be starving. 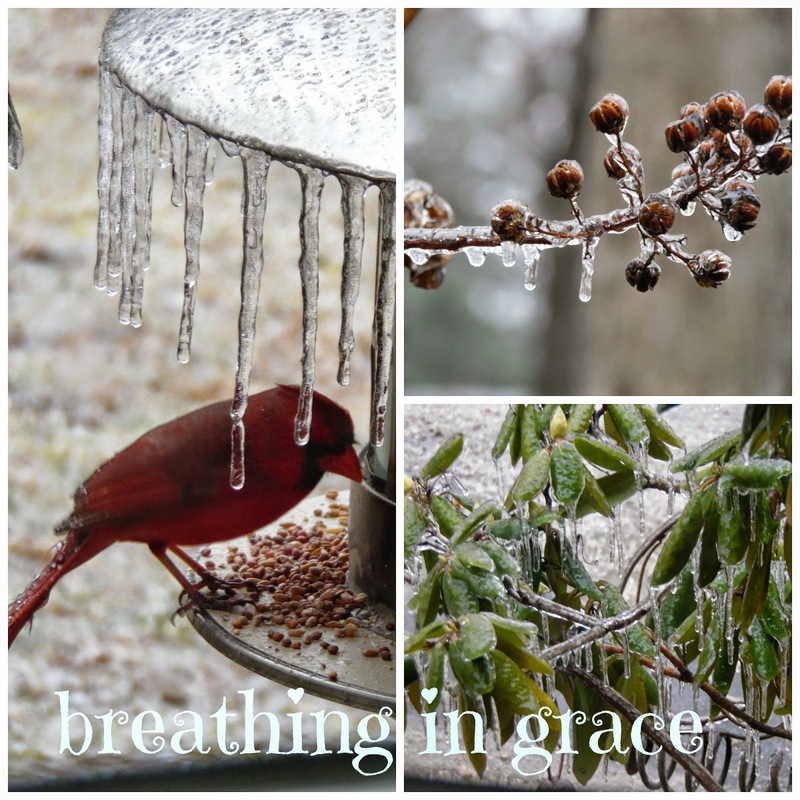 The ice was beautiful....but it caused a widespread power outage, which included us! We're now covered in a blanket of ice and snow. It's absolutely beautiful....but I'm very much ready for spring! Same thing here on my side of the mountains, Ms Deb! I'm grateful we didn't lose power. The ice is amazingly beautiful when you can look at it from the comfort of a warm house. Thanks for sharing your pretty pictures! Beautiful pictures but I am glad I am not seeing it in person. I'm more than ready for warm weather, Ms. Karen....more than ready! Thank you so much, Ms. Aim. HOPE you're doing well. Miss seeing your posts on your blog and on Instagram! Thank you, sweet Lady. I LOVE taking pictures. You and Jess need to give me some lessons/pointers! I'm just so glad to have a better camera! Happy birthday to you....HOPE your day is awesome!